I'm thinking maybe is the same car? I bought it from a guy in WA and hauled it to NJ I have had it 2 years now. The wheel covers I have never seen but the seat covers look the same when I get some time I can post more pictures I am using my phone currently. I need to take a little better care of her. She is starting to get a few signs of rust I need to address and some new seats other than that this car has been a solid rock for me. There's some little things to do since it has been stored for some times but is really clean, has been restored long time ago. 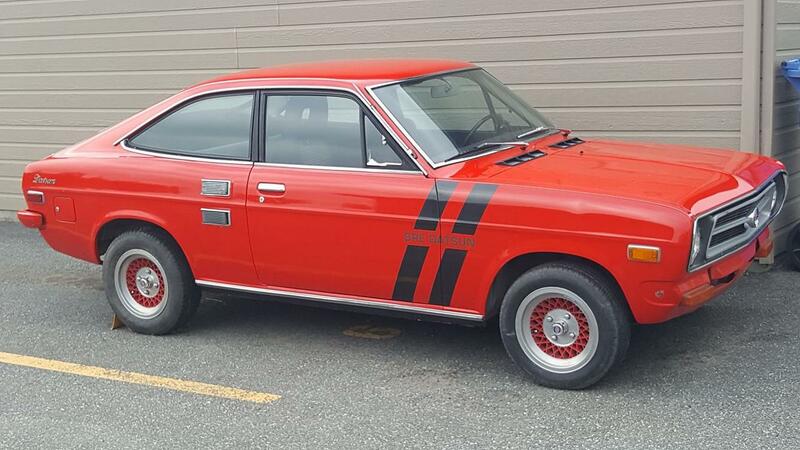 Could email me if you are close, will be looking for 6-7k CAD or would prefer a trade for a 510, 620, 521 in the same condition of mine just because i prefer the models. Here's a gem for sale. WANTED: 1200 Coupe rolling shell in lower 48. Prefer roll cage. Must have title. Needs bodywork? No problem. On a budget.